Creta is a popular compact crossover SUV in India, known for its high performance and an attractive look. In this version of Hyundai Creta 2018 facelift model, the manufacturer has tried to update it with new features to deliver freshness in the line-up. Just to remind you, the mid-life update Creta continues to be offered in 1.6L petrol, 1.4L diesel, and 1.6L diesel engine options but no mechanical changes were made in this update. Let us dive into the details of the new model of this crossover compact SUV. Besides other features, it is the design of Creta which made it an instant hit in the Indian market. It was a challenge for the car manufacturer to add elements that enhance the look of this crossover and yet retain its originality. 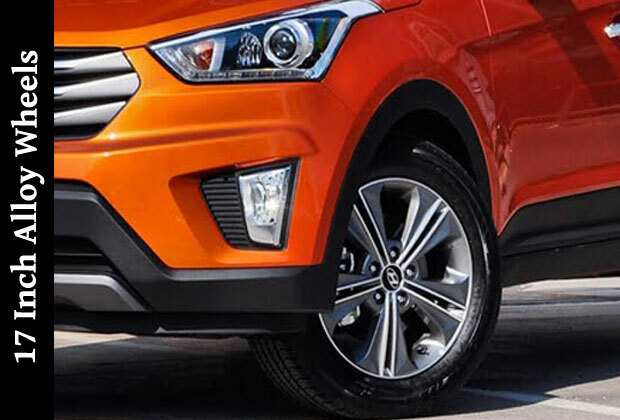 Hyundai has tried to enhance the front styling of crossover by modifying its Cascade front grille, bumper and fog lamps. No major changes have been visible to the sides and the rear end of the car. However, the new Creta will accompany with the newly designed alloy wheels. The car now also has a sunroof which was missing in earlier models. The interior of the car gets a fresh look through the small changes that Hyundai has made in the car. The dashboard has received a new and improved 7-inch infotainment system with Apple Carplay and Android Auto for connectivity options. What is new in Creta 2018? Hyundai will make the model change BS6 norms compliant update of Creta in 2020. The company has made cosmetic changes to the car this year. According to the company, Creta 2018 has received 13 minor tweaks and enhancements. The company has also dropped two variants, and now only 5 variants of Creta car is available in India. The new car has also received bi-function projector headlamps i.e. both the low and high beam use the same bulb. Hyundai has also introduced two new colors in this update –Passion Orange and Marina Blue taking up the total to 7 color shades. 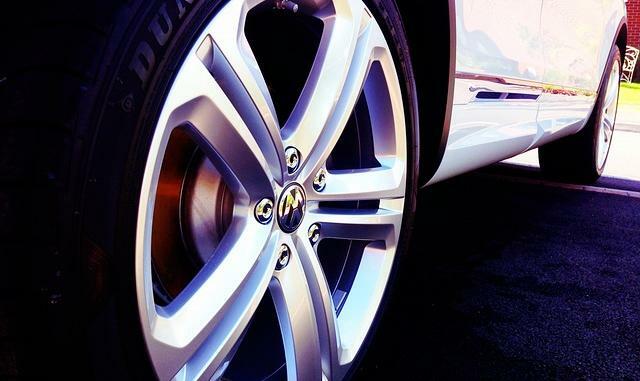 The top variant has received 17-inch alloy wheels. The A-pillar has been updated with dual-tone gloss black color scheme. The rear and front bumpers of new Creta 2018 has been given grey skid plates. Two feature have been made standard – dual airbags and ABS. Another interesting feature introduced in the top variant of Hyundai Creta 2018 model is the H-band for keyless entry to the car. The band also acts as a fitness band which can count your footsteps like the pedometer and monitors your sleep duration. We have seen this kind of wearable smart band offered in Tata Nexon to attract young buyers. There are not any major changes in the interior of Hyundai Creta 2018. The only important change you may notice is the introduction of a small electric sunroof. This is a nice step by Hyundai, however, a bigger size sunroof would have provided a panoramic view of the sky. These sunroofs have been given in Creta’s SX AT and SX(O) variants. Let us not forget that sunroof is the first in the class feature in this segment. The Creta cars updated interior also features with a Swachh Can, a mini portable bin to dispose of waste items of the car. The 2018 updated model of Hyundai Creta crossover has been given black and grey dashboard. The cars new touchscreen infotainment system interface offers an excellent interaction response. The infotainment system now supports Apple Car Play, Android Auto and Mirror link. A wireless charging system is also offered by Creta in this segment for the first time. Also, a power adjustable driver seat is the segment feature bringing in more comfort to the interior. The passenger space is similar to what we have already seen in 2017 Creta model. The car has AC vents for second-row passengers as well. The car has been given 1.6L petrol and diesel engine options. The diesel version car is also available in 1.4-liter engine option for two models. In 1.6 liter, both petrol and diesel variants are available. There is not much difference in the power of both engines. But, the diesel engine performance has a slighter edge in terms of smoothness and power delivery. The better mid-range power delivery makes overtaking at high speeds an easier job. The higher variants of Creta SX and SX (O) have received a tweaked cruise control reducing driver’s fatigue and long drive friendliness. One more advantage of Hyundai is the availability of an automatic transmission system across both fuel types. Yes! The cross SUV’s AMT version is available both with petrol as well as diesel variants. But the absence of AMT gearbox in the sunroof added top variant disappoints. 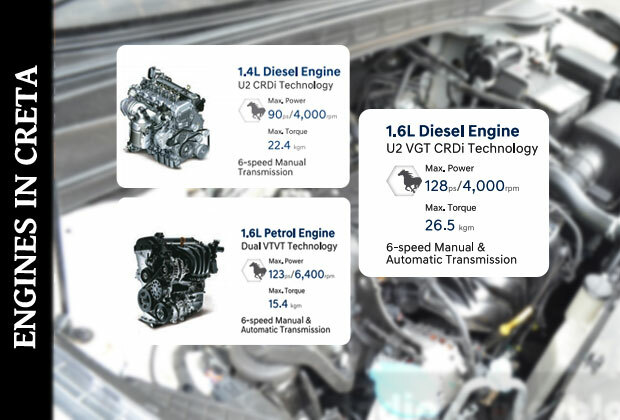 Both engines of Creta crossover deliver greater mileage on highways. The ride and handling of new Creta 2018 have become better. The annual maintenance cost of Creta comes around Rs 6500. The company claims about the improved mileage in both its engines in the new Hyundai Creta 2018 model. The practical mileage of Creta is very near its ARAI mileage. The ARAI fuel mileage of Hyundai Creta is 16km/l in manual petrol, 22km/l in diesel and 16 km/l in AMT diesel engine. The real world CRDI 1.4 engine delivers a mileage of about 16 km/l. Likewise, the actual average mileage of 1.6L petrol hits around 11 km/l while the diesel counterpart engine delivers an average of 13 km/l. The car has a fuel tank capacity of 55 liters. 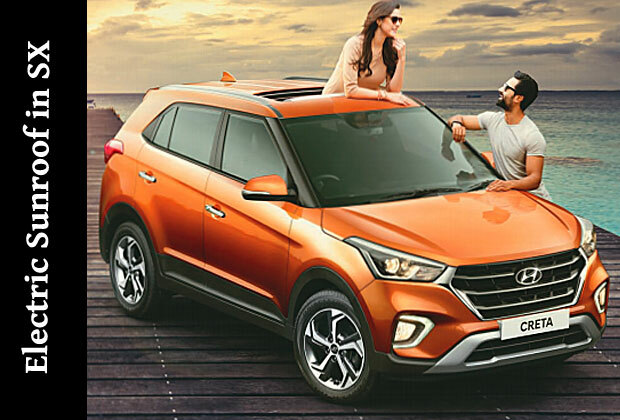 The new Hyundai Creta has positioned itself in the price range between Rs 9.44 lakhs to Rs 15.04 lakhs. The new model car’s 1.6-liter petrol automatic version price is Rs 13.44 Lakh. It is available in only the SX variant. The diesel automatic 1.6 liters Creta is offered in S and SX variants with a price tag of Rs 13.20 Lakh and Rs 14.84 Lakh respectively. Not to forget, all these prices are Ex. Showroom prices and not the On Road prices. Price wise, it also targets 7 seater buyers who go for the base variant of Mahindra XUV 500 or Jeep Compass. The crossover technically competes with other formidable 5-seater opponents like Renault Duster, Suzuki S-Cross. 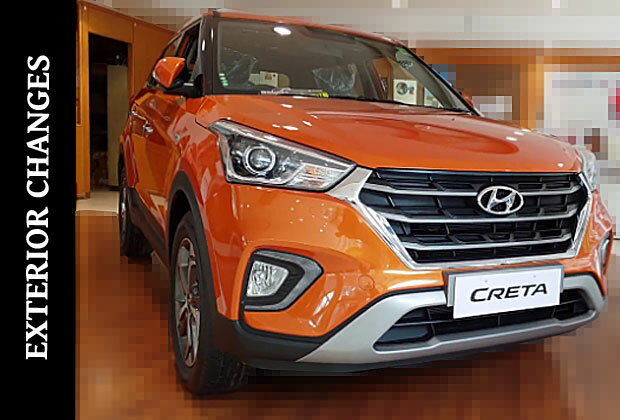 Overall, new Creta has well-placed itself as a compact crossover SUV, which has a blend of power, comfort, and styling. Bike or Scooter Which one should you buy ?